Teacher contract settlements that cover the 2018-19 school year have increased slightly from 2.87% this time last year, to 2.92%. Teacher’s contract settlements which start with the 2018-19 school year are reporting an average increase of 2.99%, which is based upon 113 ratified settlements to date. It is important when examining settlement rates that you view each district’s settlement in its’ entirety. The rates listed above do not show the complete picture of concession/givebacks that the board gained from the union. Please reference the report Settlement Rates in Perspective for details on each district’s reported achievements. Results from our survey to the 211 districts whose teacher’s contract have expired on 6/30/2018, with 99% of the districts responding, indicate that at least 157 districts have reached a successor agreement, some of which are pending ratification. In addition, there are approximately 9 districts who have not yet reached an agreement for contracts which expired on 6/30/2017 or earlier. 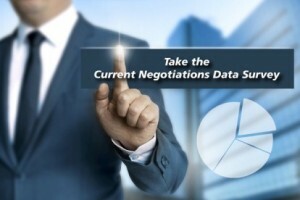 For a listing of settlements which begin with the 2018-19 school year, as well as other comparative data reports, please log in the Current Negotiations Data (members-only) section. *NOTE: Districts are asked to supply their settlement increases inclusive of the cost of increment. Tentative settlements are not calculated into the above averages until fully ratified by both parties. All settlement information is reported to NJSBA through surveys to the district administration offices. The data contained in our reports is only as complete as the information we receive from each district. Therefore, our ability to provide you with the most comprehensive data available depends on you. If you’ve recently settled your teacher’s contract and that settlement does not appear in the above report, please complete this electronic survey or contact Sandy Raup at (609) 278-5224 or sraup@njsba.org.